Having grown up in a barbershop that my father owned and being a barber myself for 10 years, I have met many different barbers and used dozens of different clippers. All the barbers I have met have formed themselves into three different groups. The Andis Clippers Group, The Oster Group and the Wahl Group. Then there is a section where guys use multiple products. Andis clippers are very popular with barbers, mainly for their budget friendly prices, but also because they are very versatile. I will admit that I am an Oster clipper guy myself that also uses Wahl for certain cuts. However, I have used enough Andis clippers to understand that they are a very good brand and each of their models has a certain quality that makes it stand out. In this article, I will review the different Andis clippers models based on what I think each specializes in. If you don’t have time to read the article then right below is a handy comparison table so you can see how the brands compare to each other. Easy to use hair clippers for home haircuts. Makes for a good budget clipper with more power than other brands. The new barber who is setting up their first barbering kit. Good clipper for a great price. Makes a nice upgrade from the Master when the budget allows for more power and control. A fully professional grade cordless clipper that is as powerful as a corded one. The only way for me to give out some advice on how to choose the best Andis clippers, is to know if they are for home use or professional. 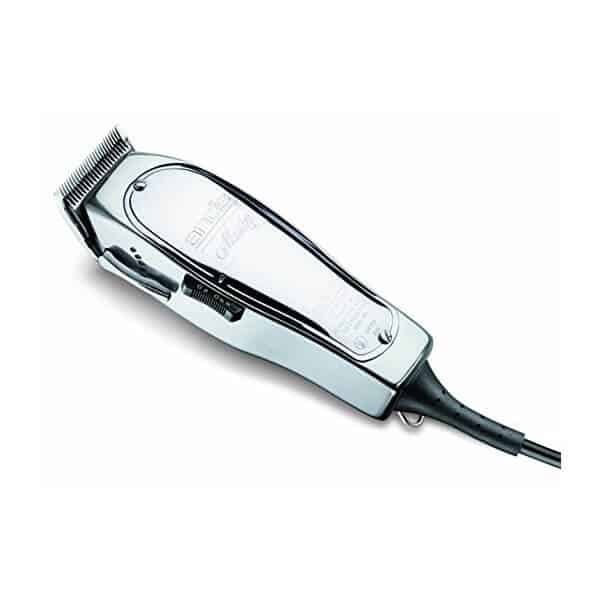 Andis clippers are usually not very expensive compared to other clipper brands. That said, you don’t want to spend more than you need on them. You don’t need the top of the line professional clippers for cutting hair once or twice a month. You should spend as much as your budget allows for home haircut clippers, though. Andis clippers for home will cost more than a generic clipper brand from the drugstore, but a lot less than its professional version. You may not be interested in the numbers, but compare the power of a home use Andis clippers to the cheapo version that you might have already had or are tempted to get. You may not think you need the power to do the occasional haircut at home, but, having more power means cutting hair faster. Cutting kids hair at home needs to be done quickly, so you will be thankful the motor of these Andis clippers is powerful when you can cut down the time it takes to cut your preschooler’s hair! If you have thick or wiry hair, then the power of the motor of Andis clippers will prevent hair from pulling, which is a common complaint when using cheap clippers. If you’re cutting your own hair, one wrong move can spell disaster. Having a comfortable grip that fits securely in your hand is insurance that you will be able to complete your cut without incident. Andis clippers should be lightweight and comfortable to hold. In some cases, there are rubber grips to prevent your Andis clippers from slipping. In general, you get more power from corded Andis clippers. These days there are plenty of cordless ones that give the same level of power and performance, though, so it isn’t always a slam dunk that getting a corded version is better. If you are cutting kids hair, then I definitely recommend getting Andis cordless clippers since it will take away that annoying cord getting on their face. Anything that makes it easier to cut their hair is a welcome bonus. Andis clippers, the cordless type are also great for using as travel clippers on trips and using where there are no outlets. Having a cord, though, means never having to worry about if your Andis clippers are charged or not. Here’s a quick video on how to cut your own hair with Andis clippers. Having a clipper that can handle the rigors of being used all day with the same level of performance is one of the most important traits for Andis clippers for barbers or stylists. I gladly pay more for Andis clippers that have a proven track record of working over the course of months and years. As long as you properly maintain your Andis clippers they should last you a long time. Even if you work in a busy shop. Having non-reliable clippers not only costs more in the long run, but you also can lose money when your clipper isn’t working unexpectedly in the middle of a haircut and you have to go with an inferior back up clippers instead. Take care of your Andis clippers and they will take care of you. You’re going to see all types of hair and different lengths. Having a powerful model that can handle whatever you throw at it will cut way down on how long it takes to cut hair. Since time is money, any time saved doing a haircut means that you can do more cuts and put more money in your pocket. 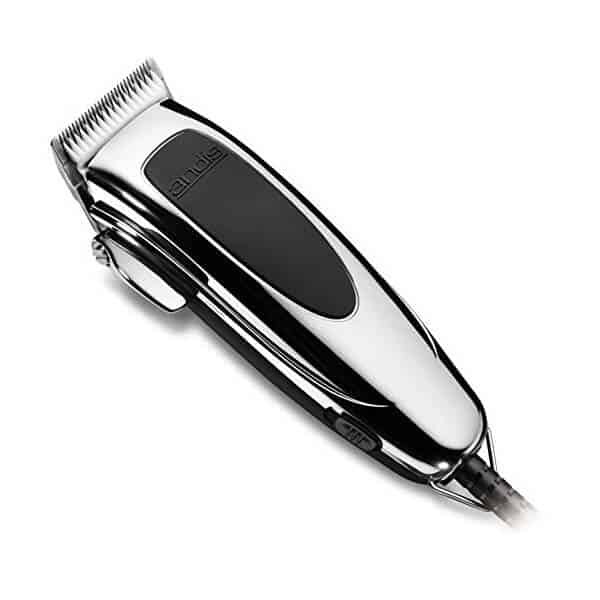 Get the Andis clippers with the most power that is within your budget. Don’t skimp on power. Any extra cash you pay for more power will pay for itself eventually. A powerful motor won’t fold the hair in the blades and so won’t pull on your client’s hair. This additional comfort will be appreciated by your client and should become a repeat customer if you gave him a good cut. For professional clippers, prices can run the gamut from no frills basics at a low price to Ferrari expensive with all the bells and whistles. Understand what you need the Andis clippers to do and then you make sure you get the best ones for the job based on your budget. Don’t get cheap if you have the money to spend. If you can’t spend much then make sure you get the best you can and then upgrade when you are making money. Don’t forget that you can write off any equipment that you need for work, so you will end up actually paying less once tax time comes and you get your refund. At the lower end of the price spectrum are the Andis clippers, but that doesn’t mean they are cheap. They are good hair clippers that cost less than some other brands. To piggyback on the price theme, knowing what you need the Andis clippers to do is important so you don’t overspend. If you don’t do many bald fades in a day, then you can get by with cheap balding clippers instead of buying the top of the line model that will just collect dust. I like having multiple clippers to use for different aspects of the haircut, so I don’t want to spend tons of money on clippers that won’t be my primary ones. If you are on a budget and still want a few different clippers to outfit your shop, then Andis hair clipers should do the trick. As long as they do the job that need to do, then I pay enough for those that let me feel like I am going to get quality for the price. I never go for the lowest priced clippers. Andis hair clippers are a nice middle of the road budget option. With a quiet pivot motor, a sharp ceramic blade and ergonomic body, I think the Andis Speedmaster 2 is the best clipper to cut your own hair. These Andis professional clippers come with everything you need to cut your hair at home. The plastic attachment guides run from 1/16 inch to a full inch. With the blade that adjusts from the #000 length, you can get a full haircut from stubble at the bottom tapered up to the top. The clipper is lightweight and has a rubber pad for a non slip grip. The size is also just right so it is as easy to cut your own hair as it is to give your kids a haircut. I am a big fan of pivot motor clippers and think you will be too. Usually this type of motor means paying a high price. These are affordable for any budget and puts some beefy power in your hands. Pivot motor clippers won’t pull the hair as they can cut through hair much easier than the clippers that use electromagnetic motors. It also helps the clippers cut through damp hair where electromagnetic clippers struggle with wet hair. Besides the power, they run so quiet. If you really don’t like the racket that other clippers make then you will love the silent hum of the pivot motor. Most home haircuts go quickly, especially if you’re just doing a buzzcut. That said, if you are doing multiple cuts, say for the whole family, then you’ll appreciate the ceramic clipper blade. It doesn’t get hot like the metal ones, and also stays very sharp for much longer. For just a few dollars more than what you would pay for a cheap hair clipper, these Andis clippers definitely are the way to go. The extra power, the ease of use and the abundant accessories make this a real winner for a DIY haircut set of clippers. If you are tempted by the price to use these in a salon or shop, I definitely wouldn’t. Though the pivot motor is powerful enough for home use, it only manages 3,400 strokes per minute compared to the Andis Master that gets 14,000. You won’t be able to cut hair quickly enough with these to make it worth the savings. I think I have yet to meet a barber that hasn’t used the Andis Master clippers as their first clipper when starting out. The price is definitely attractive when considering how much a good set of primary hair clippers can end up costing. Besides the price, what makes these Andis professional clippers great to start your barber career with? Well, the Andis Master clippers adjustable blade has a lever with notches, for one thing. This takes the guesswork out of making incremental changes in length. This makes it really easy to “master” the fade when going by sight is not something you’re proficient at yet. The small profile of these Andis hair clippers is comfortable in the hand and is around a pound in weight so it doesn’t lead to hand fatigue. The metal body is made with aluminum so it is sturdy enough to withstand some bumps and bangs but still lightweight. That Andis Master clippers body incidentally is also one of its shortcomings. Since the shell is metal and the motor is electromagnetic it can heat up with prolonged use. Magnetic motors vibrate back and forth to keep the blade moving. This causes friction which leads to the motor heating up. Then the metal body absorbs the heat and can get uncomfortable. Performance, however, is good. The blade of the Andis Master clippers, when closed, is #000 in length but can be 0 gapped to make it even tighter. 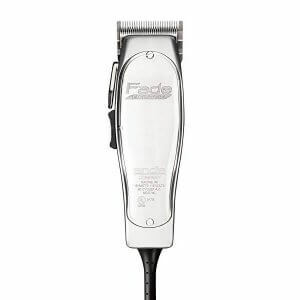 With attachments, you can manage some nice fades and tapers with these Andis hair clippers. 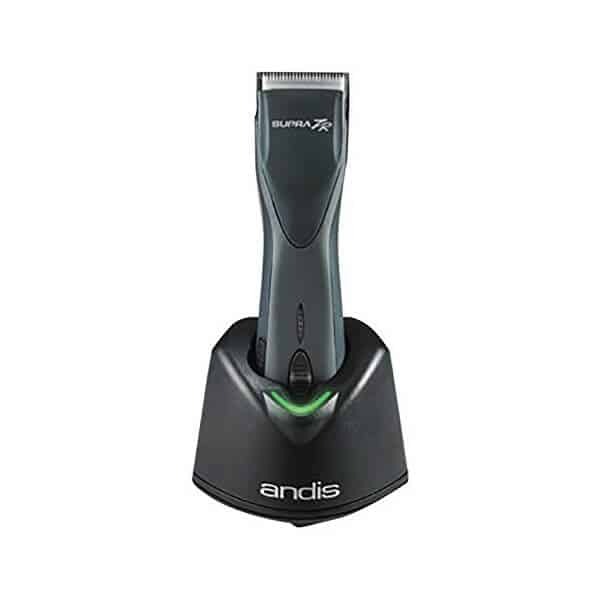 The Andis Master clippers powerful motor will get you through those cuts really quick so these Andis professional clippers pay for themselves after just a few extra haircuts that you’re able to pull in per day. Another downside is the noise. Out of the box, you will notice how quiet they are. They practically hum. As you work these Andis hair clippers in the shop, they will start clacking away eventually. There is a screw on the side that can be adjusted when they do start making noise, but it is not a cure all. If you screw it in too tightly it slows the blade down and will start pulling hair. My advice is only use these Andis Master clippers as your primary clippers for a couple of months until you can afford better ones. Then upgrade to some better Andis hair clippers as there are others that are better. When you are ready to upgrade from the Andis Master clippers, then you should consider the BGR+ as I think it’s the best Andis cordless clippers for professionals. This is expensive, but a much more professional model that will cut down your haircut time dramatically. 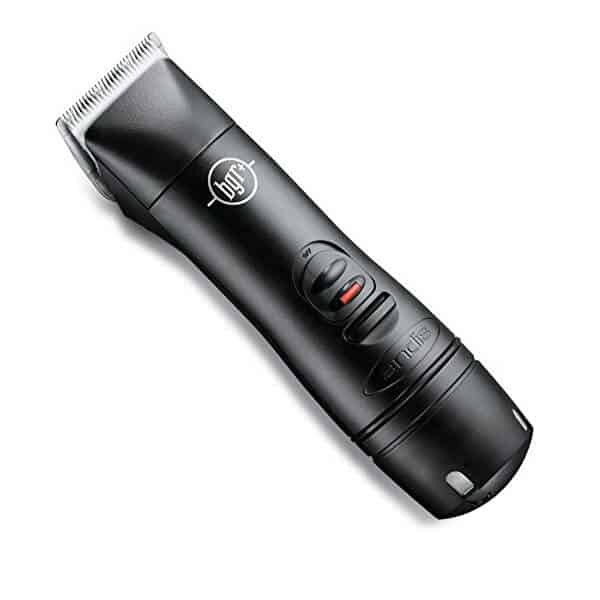 With the BGR+, you get a cordless clipper that is best for professional barbers and stylists. It is lightweight at only 1.1 pounds. Which is much lighter than other cordless versions and way lighter than any other Andis hair clippers. Remember, there is a battery in there. Even with that battery, this is still half as heavy as the Oster Classic 76. You will love the barrel shape as it fits easily in the hand. These Andis cordless clippers are weighted perfectly to reduce hand fatigue after a long day of use. BGRc vs BGR+, what’s the difference? The biggest difference is the power. At 3,000 spm it is 100 spm faster than the BGRc. The battery also lasts longer. So, yes the price is considerably higher, but you get more for the money with this Andis cordless clippers version than the previous. You can go the entire day of work without the battery dying as you can rest it on the charging base between cuts. The charger also has a handy discharge function to quickly drain the battery before fully charging. Doing this at the end of the day will keep the battery from one day not charging fully. With a rotary motor similar to the Oster 76, these Andis cordless clippers are absolutely quiet. Pivot motors don’t offer as fast a cutting motion as magnetic motor driven ones, but they cut through hair much easier. You will make fewer passes over the same spot to get all the hairs cut evenly. One swipe with the BGR+ and you’re done. Detachable blades last a long time and stay very sharp compared to the adjustable ones. You can use UltraEdge, ceramic or even Oster blades that range from #000000 to 3.75 (not inches, that is just the number of the blade). The included blade is a #000 which will leave some slight stubble. It comes with a couple of plastic combs, but I don’t recommend using them. Guides are best for adjustable blades. The metal Andis detachable blades don’t work as well with the plastic combs and if you were to use them then you will find yourself going over the same spot multiple times which defeats the purpose. Yes, the Andis detachable blades are expensive. But, they last a very long time. I have blades that I bought years ago and they are still very sharp. The 3.5 or the 2 will likely last you less time if you use them the most frequently, as I have. But if you work in a shop that does not do as many business cuts as I do, then they will last a lot longer. If your battery dies in the middle of the day, have no fear. You can use a cord on it while the battery charges in the base to continue working. The cord is sold separately and available from Amazon.com. I love everything about these Andis cordless clippers and it is giving my Oster 76 a serious run for the money. As I mentioned before, barbers fall into several camps and since my father used the Oster 76, I also use it and have for years. I like the power, precision and durability. If the BGR+ can last as long as an Oster 76, then I may find myself switching camps to being an Andis hair clippers guy! 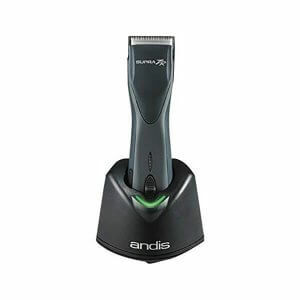 If you struggle with fades or your current clipper just doesn’t get a tight enough shave on the sides, then try the Andis hair clippers Fade Master. With a #00000 sized blade, you can get very close to the skin and then adjust the blade incrementally up to #000. Add in plastic guides and you can get a very nice taper up the sides without seeing the guideline. At 14,000 spm, the motor works fast and gives you a lot of power for tougher haircuts and thick hair. In this, and other respects it is like the Master. The difference mainly is in the blade. This just gives you a closer cut then the Andis Master clippers. Again, like the Andis Master clippers, it has an aluminum body that is lightweight, yet tough. The downside? It heats up if you use it a lot. For home haircuts, it shouldn’t get too hot. In the shop, if it is your primary clipper then you may need to give it the occasional spray down with some Cool Care to keep it from getting too hot. 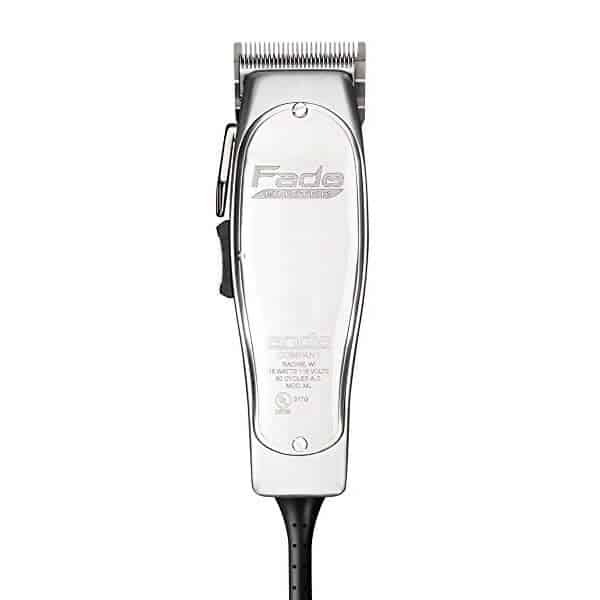 A significant difference between the Andis Fade Master and the original is the size, Though they both weight 1.25 pounds, the Fade master is roughly 25% smaller. It is a bit more ergonomic than the Andis Master clippers and easier to maneuver. If you want the best Andis professional clippers to shave your head, then you can either use them as is for an ever so slight stubble, or zero gap them to get right down to the skin. All in all, these are a very good set of Andis clippers for a reasonable price. It seems like battery technology has finally caught up with Andis professional clippers. Years ago I tried some wireless clippers, though I don’t remember which ones they were, and was decidedly unimpressed. The last couple of years, though has me very much in the cordless camp. Especially when considering how good the Andis Supra and the Oster Octane are. Which one is better? It doesn’t really matter. They are both excellent. Though I do give a slight edge to the Supra as it has a much more ergonomic body. I wanted to love the Octane, but the shape and weight just make it tough to use the entire day. The Supra on the other hand is slim and fits much better in the hand. The weight is a bit more towards the blade end so it feels better centered. It is slightly lighter at 1.1 pounds compared to 1.2, but the difference in weight doesn’t mean much. You get a two hour run time with a full charge, but by placing it in the charging dock between cuts will give you the entire day of good battery power. It takes the same detachable blade as the Andis Ultraedge and BGR, as well as the Oster blades. The motor is rotary and very powerful. As powerful as any corded clipper so you won’t be sacrificing any performance by the convenience you get. This will work on any type of hair, even wet since the rotary motor gives you much more torque than electromagnetic ones. This is definitely overkill for use at home, but if you are a barber or stylist then you will love how easy these Andis professional clippers makes cutting hair. These plastic combs are hands down the best ones on the market. They stay put and feel so solidly connected that they seem to be built into the clipper themselves. With other clips I find myself triple checking before I put clipper to hair to make sure they are on correctly like I have OCD or something. These Andis clipper guards are a must have if you own the Andis Master clippers. There really is no way to use them without these. These plastic guards will give you lots of peace of mind. What could possibly make a better movie than the story of a scrappy immigrant coming to America, starting out with nothing and building a barber tool empire? The origin story about Andis clippers is remarkable and inspiring. Matthew Andis moved to New York, eventually setting in Racine Wisconsin, at the turn of the 19th century. He was a tool maker with an acute vision. He saw a gap in the barber tools market in that the only hair clippers were big bulky machines that were difficult to use. (An interesting side note is that he started out making hair clippers with John Oster, who eventually went his own way and started the Oster Clipper Co.) He made a self contained, hand held clipper with an electromagnetic body that was easy to use and affordable for most barbers. Over 100 years later, the company is still run by the Andis family. Andis clippers are ubiquitous in every barbershop and dog grooming salon thanks to the hard work and vision of the descendants of Matthew Andis. Besides hair clippers and trimmers, Andis makes blow dryers, curling irons, and pet grooming tools. It’s always a positive experience promoting products made by a family company as opposed to a big faceless corporation. Family companies like Andis are usually dedicated to serving their market well as their legacy is attached to their products. It isn’t just to make as much money as humanly possible, though obviously making larger profits is a priority, but to also make sure that the family name and business continues for the future generations of the owners and workers at their factories. I don’t know what the future holds as far as new products and innovations, but I am pretty sure that we can expect to see some pretty interesting and useful Andis clippers continue to be produced by them. One interesting innovation is the recent release of the Andis Endurance clipper for animals. You may wonder why I would be excited about animal clippers when I am a barber. It is the technology in the Andis clippers that I think may end up revolutionising the clipper industry. Andis clippers features a brushless motor system with a complex inner circuitry. This means more power and torque. 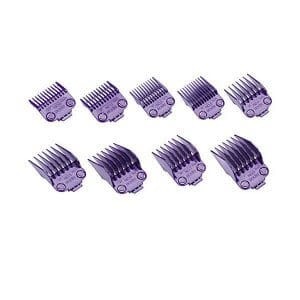 It is made to cut easily through matted hair without heating up and slowing down. While I have no idea if this will translate to a barber hair clipper by Andis, it is something interesting to watch out for. Something barbers have been asking for is a hair clipper that doesn’t get hot, is quiet, powerful and lasts a long time. The Endurance ticks all of those boxes and shows that the technology is possible. A great way to see the latest Andis clippers and get some tips on how to use them to do awesome cuts is to go an Expo or Barber and Beauty Show. I have gone to a few and seen plenty of Andis representatives do some demonstrations of their Andis clippers and learned a few new techniques. To see if there is a show happening near you, then click here to go to the site that lists upcoming events. I hope my pro Oster bias did not come through too strongly! I wrote up this Andis clippers guide feeling that it can certainly help people looking to buy an Andis. Though I do think there are better brands out there, it really is a matter of opinion and preference and I think Andis clippers are well made and worth the money. As I have said, I have tried so many different types of clippers and brands. I do think that Andis clippers deserves its spot in the big three, but I would give them a bronze. You can take a look at a review I did of the best Wahl clippers and see if you think you would prefer Andis or Wahl for adjustable blade clippers. As always, let me know if you have any questions about Andis clippers by dropping a comment in the box below!